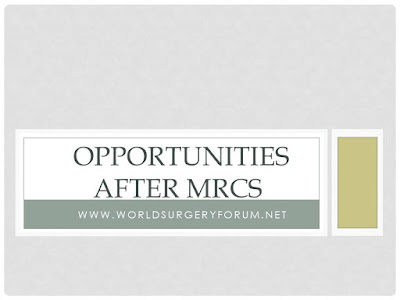 For those who are interested in understanding the kind of jobs one can get after MRCS. Here is an example of a recently posted job for people with MRCS/ GMC Registration. Note: This job was posted on Times Jobs. We do not have any association with the recruitment agency. ID Medical is UK's leading recruitment agency and we do have different permanent positions with different NHS Trust Hospitals across UK. Right now we are dealing with almost 95% NHS trusts across UK to fill their various positions. Our clients are able to provide Tier 2 Visa Sponsorship and ID Medical is always there to help you in your transition to UK. Holding Fellowship / Membership from any of the Royal College from UK. If you are looking for a new permanent role based in UK with better facilities, salary & work environment than please revert back to me with you updated CV. We will discuss further about your requirement s and try to offer you positions accordingly. Please send your CV to raj.shah@id-medical.com or you can call on +44 1908 525 858 to discuss further.